Colourpop Lippie Pencils and a bit of Puppy Love. In general, makeup enthusiast have been conditioned into thinking we have to pay an arm and a leg to get quality products; however, Colourpop has debunked that theory. The brand’s affordability, vast color selections and quality products have impressed me beyond expectation. 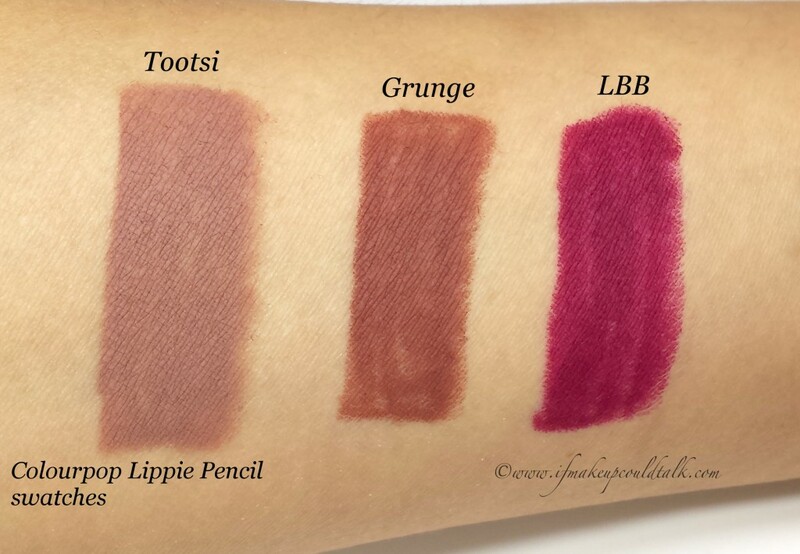 For today’s post, I present another three Colourpop Lippie Pencils ($5 USD/ 1g) along with Puppy Love (LE) Super Shock Shadow ($5 USD/2.1g). To say, I love this company for donating all proceeds from the sale of Puppy Love to a No-Kill Animal Shelter in LA, is a tremendous understatement. I hope you enjoy! Tootsi is a “cool-toned grey beige (“greige”)”–I would say this description is spot-on. 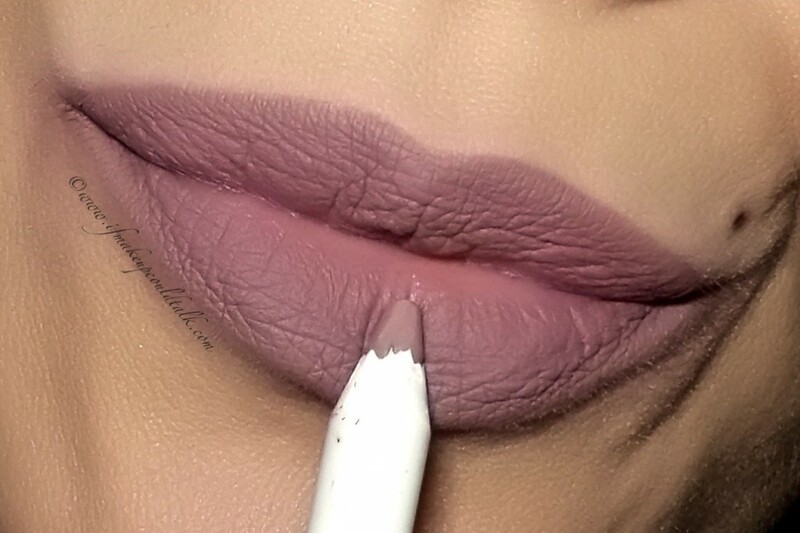 Against my olive complexion, this particular shade looks downright unwearable when worn full on. Grey toned colors such as this, are really not intended to be worn on their own, rather as accent colors to obtain a certain look. Case in point, utilizing the thinnest layer of Tootsi, right on the outer edges of the lips can result in fuller looking lips. 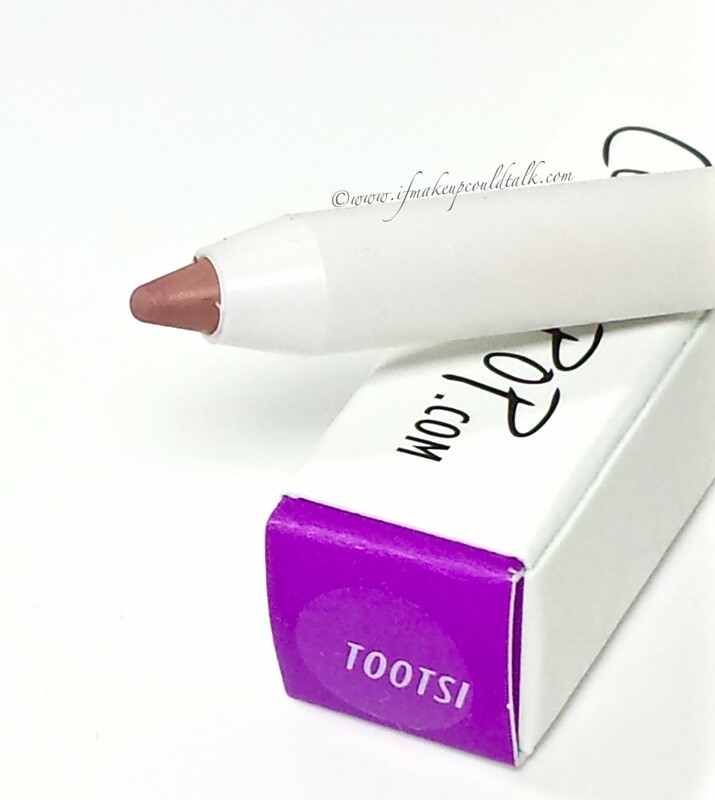 To my eye, Tootsi is very similar to MAC Stone Lip Pencil. I do not own Stone, but from what I can tell from online swatches and countless Youtube videos, Toosti definitely comes very close in color and purpose. 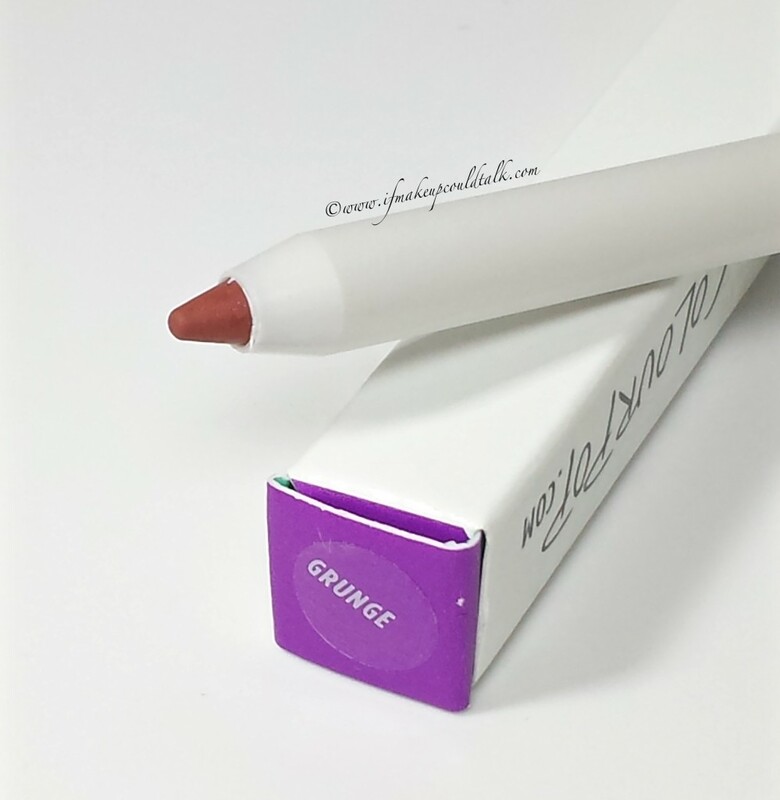 The creaminess and lasting power is the same as my other Lippie Pencils (reviewed here). 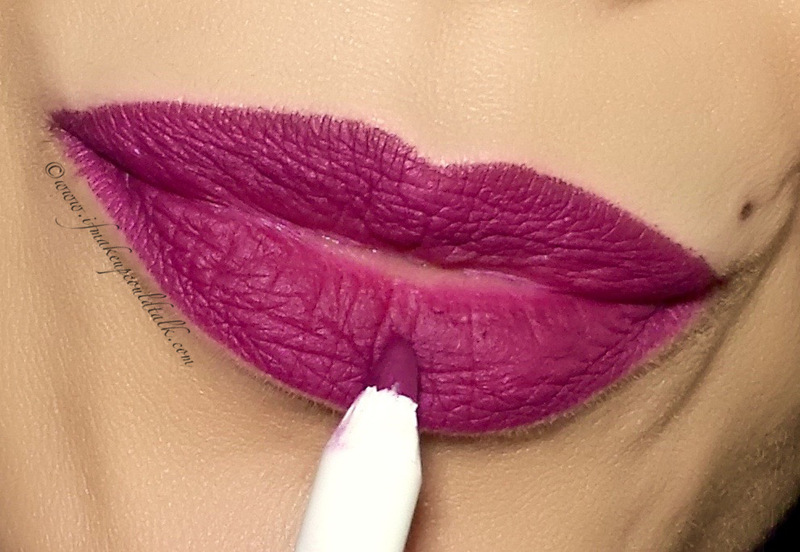 I really cannot imagine paying four-five times more for any other lip liner, from any other company. Grunge is a “cool-toned plum brown.” I feel this color is a total homage to the grunge style of the 90’s. I remember wearing very similar colors throughout that decade. If applied heavily, Grunge definitely lives up to its name–the effect is very dark and looks oddly dated on myself. However, I can see the color being a MLBB color for darker skinned beauties. I prefer to use Grunge sparingly with lighter colors to add warmth and dimension. MAC Honeylove, Dose of Colors Truffle and Shiseido RD203 and RD306 are just a few pairings that have worked well with Grunge. 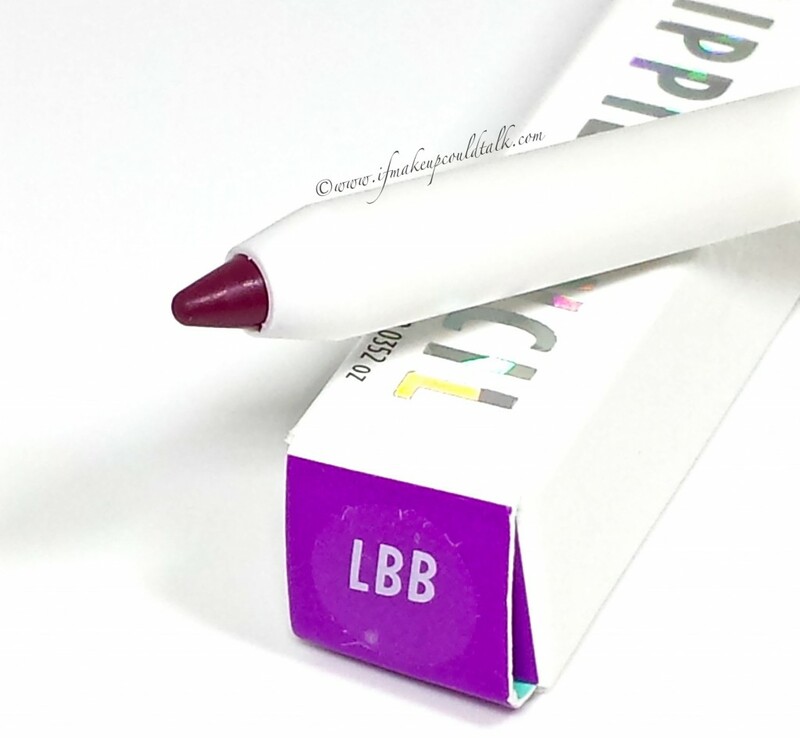 LBB is a “rich plum wine.” Even though I have not worn this color as often as Toosti or Grunge, I adore this shade. The bright plum coloring is certainly not for the faint of heart, however the underlying wine tone makes LBB quite wearable and not as stark as the typical 50’s red. I can see this shade pairing well with Marc Jacobs Boy Gorgeous (summer lipstick goal). Personally, I like to utilize bright shades like this to tone down deep wine reds in my collection. So far, Tom Ford Black Orchid, Marc Jacobs Blow and Dior Addict Fluid Stick in 893 Trompre L’Oeil work beautifully with LBB. 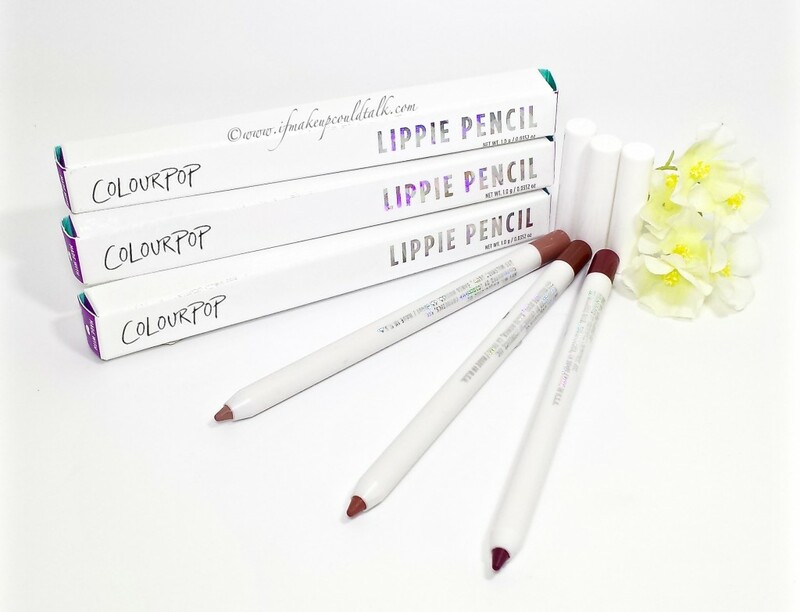 As an added bonus, Colourpop Lippie Pencils are creamy and pigmented enough to be worn on their own. 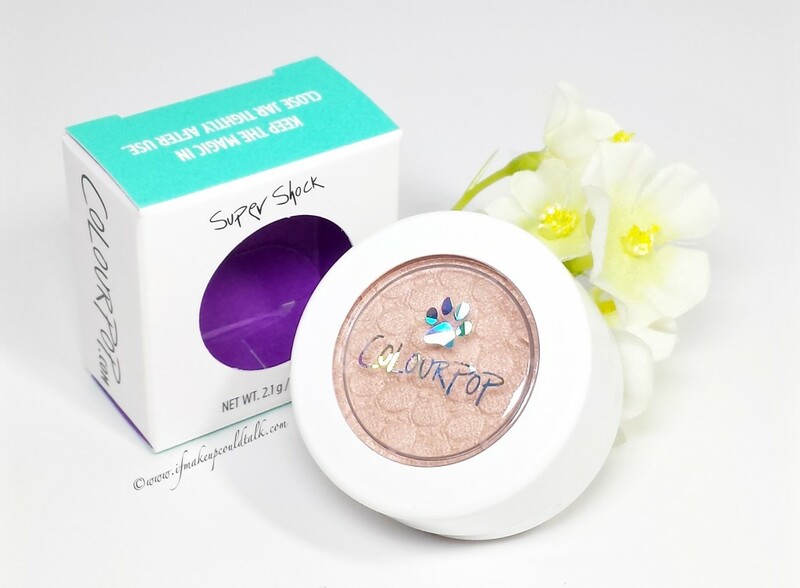 Colourpop Puppy Love (LE) Super Shock Shadow. Colourpop Puppy Love (LE) Super Shock Shadow swatch (photo taken with flash). Puppy Love is a beautiful duo-chrome pink and gold shadow (my camera did not capture the gold, but trust me it is there) with a pearlized finish. This limited edition color debuted in December and was sold until March. All the proceeds from the sale of Puppy Love were donated to a No-Kill Animal Shelter in LA. It just so happens, Puppy Love was love at first sight–the delicate pinky/golden glow is right up my alley. 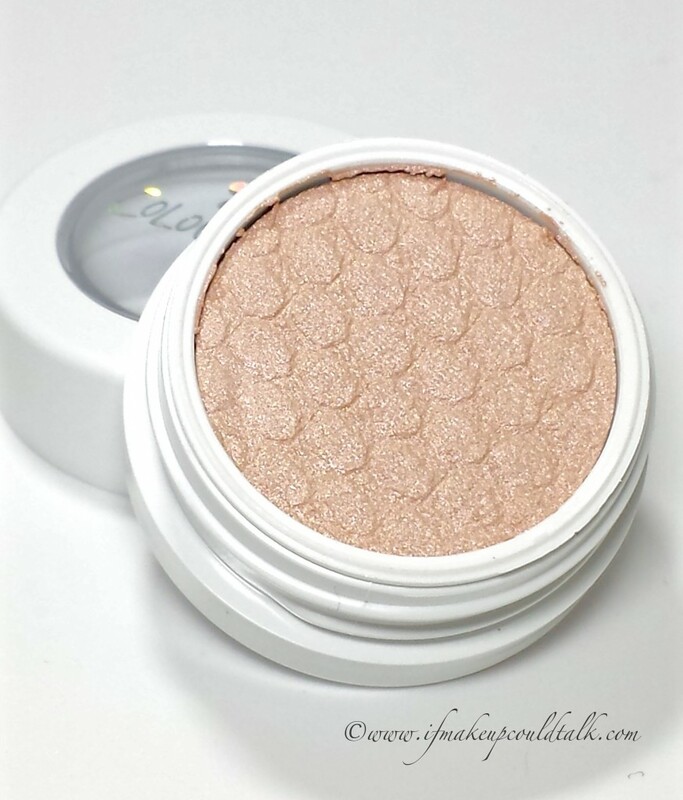 The lack of shimmer/sparkle makes this color a wonderful candidate for a facial highlighter. The cream to powder texture blends beautifully without settling into pores or fine lines. In fact, Puppy Love’s warm golden undertones pair perfectly with my bronzer for a sun-kissed look. When applied to the eye area, the color seems to get lost in translation. Applying a light brown cream base (Bobbi Brown Sand Dune) and then adding Puppy Love on top, with my finger, seems to produce more striking results. I do not want to gush too much about this color, being that it is discontinued. However, I have high hopes they will realize the potential of this beauty and bring it back as part of their highlighter line-up. Better yet, this could be Colourpop’s equivalent of MAC’s Viva Glam campaign–only for animals. Wearing Puppy Love on the mobile lid and as a facial highlighter. 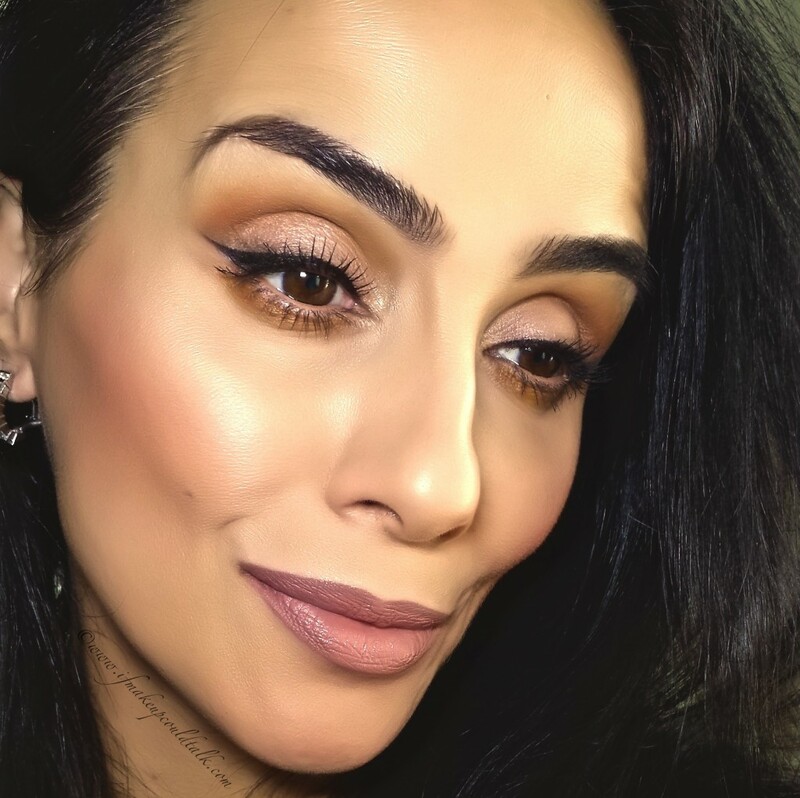 Tootsi and Grunge were used to line the lips along with MAC Honeylove and topped with Shiseido RD203 (photo taken indoors on a very sunny day). Makeup would tell you Colourpop Lippie Pencils and Puppy Love Shadow are amazing. The color selections and price are a dream come true. Now if only they would make Puppy Love permanent, then I would have no choice but to erect an altar for the brand in my room—not really, but you get the point. 🙂 Until next time, be well, stay safe and be happy. *IfMakeupCouldTalk.com is not affiliated with any brands mentioned, all products were purchased by me. *This post does not contain affiliate store links. *Compensation is not given for any reviews. *All opinions are my own and based on my experiences. *All photos are property of IfMakeupCouldtTalk.com unless otherwise noted. *IfMakeupCouldTalk.com photos and written content cannot be used for any other social media and/or publications.